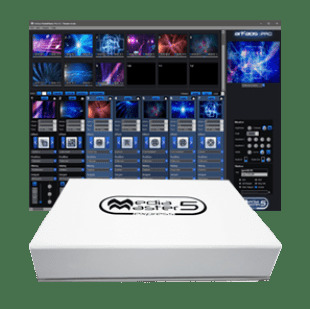 Your affordable partner to any program, MediaMaster Express has up to 12 layers and is especially designed to run video for clubs, churches, theaters, TV and production studios. All can be easily controlled from your keyboard, DMX or MIDI controller. 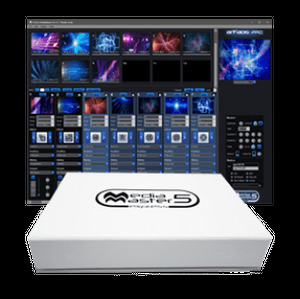 Designed to be fast and easy, MediaMaster Express is a unique solution for video control on the market. This intuitive software allows you to program and run full visual shows in just a few clicks, without the need of training and practicing! Once you’re ready, go live and take control of your show using only a few channels on your lighting desk, notes on a MIDI controller or just your computer keyboard.